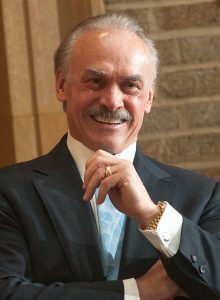 Former NFL player Rocky Bleier is scheduled to be the keynote speaker for this year’s Community Foundation of Jackson County Celebration Benefit that is happening on October 19, 2017 at the Jackson County Armed Forces Reserve Center in Millwood.The four-time Super Bowl champion is not just an experienced athlete, but he is also a veteran of the U.S. Army and has learned lots of lessons from both worlds that he is able to pass on to his audience. Bleier is known for his passion and optimistic nature, so it is only fitting that he will be attending this event and supporting a military-related event. The Appleton, Wisconsin native got his football career started while he played on the team for the University of Notre Dame and was even a member of their 1966 National Championship team. He was selected in the 16th round of the 1968 NFL Draft by the Pittsburgh Steelers, but was also drafted by the armed forces that same year and was sent to Vietnam. During combat he was injured so severely that it was thought he would never walk again, but his determination begged to differ and he even made it back to the NFL. Bleier is going to be speaking at the Jackson County Armed Forces Reserve Center in Tennessee later on during the fall, and it should be a fairly exciting event for everyone involved. If your company is interested in finding out availability and booking fees for a former professional football player like Rocky Bleier or other sports celebrities for a Keynote Speech, Autograph Signing, Guest Appearance, or Football Camp, call us at 1-888-246-7141.